Coding From Scratch is a very thorough, step-by-step guide for using Scratch to code. 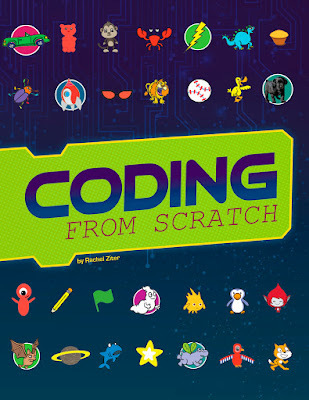 The book has clear illustrations, pictures, and diagrams to help readers navigate Scratch and develop their coding skills. It walks kids through how to make their own games, how to use the drawing tools to make animations, creating presentations, using the sound tools, and more! If you’re looking for a detailed guide to Scratch that dives in deep, then this is it! If you’re interested in reading Coding from Scratch, you can purchase a copy here on Amazon.